True Personal Locator Beacons (PLB) operate on “official” GMDSS/SOLAS radio frequencies to communicate with the international, government-operated emergency satellite network. PLBs have some limitations compared to Emergency Position-Indicating Radio Beacon devices (EPIRB), but use the same satellite communications network. This system is monitored by government (often military) emergency response agencies. 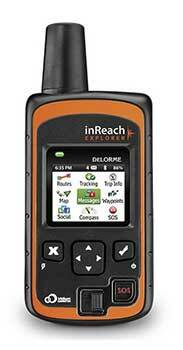 The SPOT device by SPOT, LLC and the InReach device by DeLorme, Inc., are referred to as “satellite messengers” or “satellite communicators.” These devices also communicate with satellite networks, but those networks are privately-owned and operated. Their “911” emergency feature is routed to a privately-owned and operated emergency control desk. What is important to understand is that the SPOT and InReach devices are not GMDSS/SOLAS-compliant EPIRB-class devices. Aboard Sanctuary, we think of “risk” as a balanced relationship between the “probability” of an adverse occurrence and the “impact” that adverse occurrence might have on us. If “probability” is high, but “impact” is low, we might adopt only minimal risk avoidance measures. If “probability” is low, but “impact” is catastrophic, we adopt much more intensive risk avoidance and mitigation plans. Aboard Sanctuary, we do not choose to carry an EPIRB device. We do choose to carry a SPOT satellite messenger. 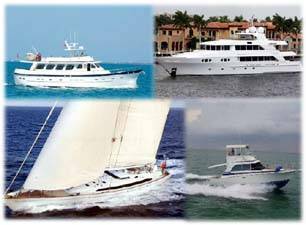 For near-coastal, intracoastal and river cruising in North America, we find our SPOT device to be extremely reliable. Furthermore, it does offer some day-to-day usability advantages that are not present with true GMDSS/SOLAS PLBs or EPIRBs. The SPOT messenger is not an EPIRB, but comparing satellite messenger/communicator devices to EPIRBs and handheld PLBs, the pros and cons net out within our range of acceptable risk tolerance. our SPOT messenger account is linked to our BoatUS Tow Boat account for “send help” messages (and we now know that facility does work). Sanctuary’s SPOT device (1st Generation messenger) has 3 “AA” lithium-ion batteries. The batteries are available almost everywhere, and changing the batteries is self-serve. Since I use the unit every day, I know from day-to-day that it’s actually working. they are rated for immersion for only a few feet and for only a short period of time. For near-coastal, intracoastal and inland river cruising, a messenger like SPOT or InReach provides capabilities that are well within our personal range of risk tolerance. We plan our travel for daylight hours and do not travel over night. We try to avoid traveling in risky weather, particularly when thunderstorms are forecast. We use our SPOT every day to communicate with family and friends. To our knowledge, we have never had a prolonged satellite delay or anything nearing a 20-minute delay on message transmission; we mostly have responses from the SPOT website within one minute or less. We have once used SPOT to file a help call with Tow BoatUS, and on that occasion, it worked absolutely flawlessly. Of course, so did the BoatUS cell phone app in that case, although the VHF radio (VHF16/VHF13) did not because the local BoatUS operator was still in bed that early morning. Some newer generation devices in the messenger/communicator market offer custom text messaging with each use. Some people may find that feature to be useful. We could update our equipment to get that feature, but we do not feel it’s necessary for us. At the start of our long cruises, we file a general “float plan” and approximate travel schedule with trusted “emergency contacts.” Our emergency contacts receive notification messages direct from the SPOT website. We, ourselves, receive each SPOT notification message via email direct from our SPOT account. We re-forward our daily SPOT messages to inform a larger group of friends and family who “follow” our travels. Those daily forwards also contain our “chit-chat” about our current weather outlook, vessel status and operations conditions, and our near term upcoming travel plans. We find this practical and usable. Finally, if personal risk tolerance requires a higher level of risk aversion aboard, EPIRBs can be rented from BoatUS for occasional use. Renting ameliorates some, but not all, EPIRB cons.